His new book, too, is a paradigm-shifter. But this time, instead of going out of the box, the approach here is simple and single-minded. And no less profound for that. Robert Gelinas. 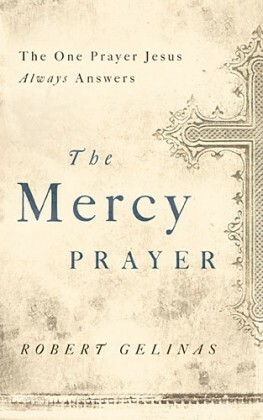 The Mercy Prayer: The One Prayer Jesus Always Answers. 192p., $15.99, Thomas Nelson. The opening chapters establish the reality of a merciful God—something we claim to believe but don’t nearly as often act upon as if it were true. Before we can believe in the power of the Mercy Prayer, we must first believe in the power (and the existence) of a merciful God. The shift in focus comes near the end of the chapter “Echoes from Eternity”: “As Christians, we have decide to fight sin,” he says. “What most of us didn’t know is that to seek victory over sin is to choose to suffer.” We all need to see God’s mercy in our lives, and all around us. When we arrive eternally in God’s presence we will be eternally reminded of that mercy, but in the meantime we need to remind ourselves. Robert gets us started down that path here. As we walk with God, we gain vision for how we can do great things with God. We begin to see the world not as it is but as it should be. We begin to ask God, “If you could change one thing in the world through me, what would it be?” God responds, and with him we begin to do justice. We roll up sleeves and start cleaning up polluted streams. We get involved in our local school to curb the low graduation rates. We start petitions that draw attention to the extremely high abortion rate of Down Syndrome babies…. [M]ercy [also] reminds us, as we teach a man to fish, we shouldn’t forget that he’s hungry. So give him a fish for today, and then get on with the lesson. Interested? Begin seeking mercy for yourself first. The book will certainly help you through every step of that path. This entry was posted in Uncategorized and tagged book review, mercy, robert gelinas, social justice. Bookmark the permalink.